Expert speakers and panellists have been drawn from the Luxembourg and Swiss fund industries for their profile, experience and know-how, please find some of them below and the complete list on this link! As Head of Products EMEA & Switzerland, Michael Kehl ensures development and management of the EMEA / Switzerland domiciled product range in line with the strategic ambitions of UBS Asset Management. He ensures optimal product coverage for Asset Management Distribution with the main focus on UCITS products and CH-domiciled products. Michael started his career in Portfolio Management for private clients and institutional clients before he entered the fund product development and management area in 2004. Michael studied at the Zürcher Fachhochschule, Hochschule für Wirtschaft und Verwaltung Zurich (Economics and Administration) and is a CFA Charterholder since 2006. Yvonne Stillhart is an independent non-executive Chairman of the Board of Directors and Finance Committee of an AIFM private equity manager investing in Europe. Yvonne is a seasoned Private Equity specialist who successfully built a leading private equity organization and has extensive investment experience. She is also an independent Chairman of the Board and Finance Committees of several JFSC regulated private equity investment funds (direct investments, secondary investments and fund-of-funds) focusing on Europe. Yvonne also acts as non-executive Director to a private equity fund with a direct investment focus on the Sub-Sahara and South-African region. Yvonne is also an independent advisor to various types of organizations in a range of private equity related topics such as investments, portfolio- and risk management, corporate governance, organizational set-up and restructurings. Eric Borremans is responsible for the development and implementation of sustainable investment strategies at Pictet Asset Management. Before joining Pictet Asset Management in 2013, he spent eleven years with BNP Paribas Investment Partners in Paris where he was successively in charge of ESG research, proxy voting, SRI development, and CSR. 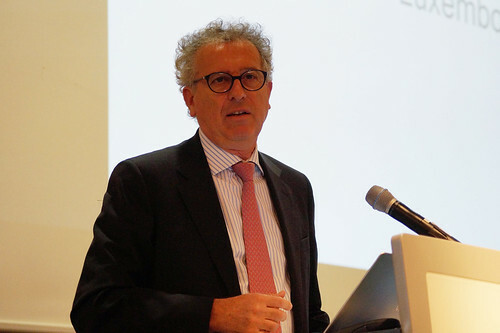 He was previously Head of Research Services with Sustainable Asset Management (Zurich) until 2002. He started his career in 1992 at Environmental Resources Management (ERM) advising multinational companies and public sector entities on environmental, health and safety issues. Eric holds a degree in Finance from Solvay Business School (Brussels) and an MBA in environmental management from Columbia Business School (New York). He was vice-Chair of the Institutional Investor’s Group on Climate Change from 2008 to 2015, and currently sits on FTSE Russell’s Environmental Markets Advisory Committee and the Climate Bonds Initiative (CBI) Standards Board. 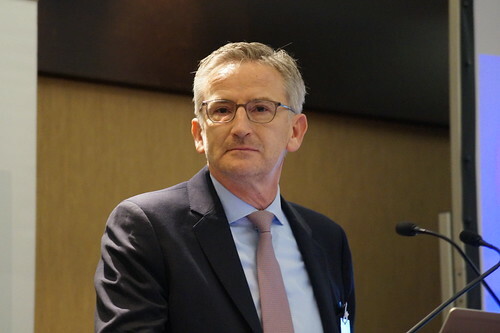 Heinz Hofmann holds the Chief Executive Officer position at HSBC Global Asset Management (Switzerland) Limited and is responsible for the distribution of HSBC funds in Switzerland. He joined HSBC Group in 2003 and held several positions in Business Development and Private Banking. He gained experience in the fund industry over the last 25 years and worked for several fund management houses during that time. Martin Jufer is Region Head of Continental Europe. He became a member of GAM Holding AG’s Group Management Board in April 2013. Prior to that, he was chief operating officer and head of products and services of GAM group. Martin Jufer joined Julius Baer Asset Management as an investment controller in 1996 and subsequently became responsible for fund administration, middle office and IT. Prior to that, he worked as an auditor with Ernst & Young in Zurich. Martin Jufer holds an MBA from the University of St. Gallen (HSG) and a Swiss Federal Diploma for Financial Analysts and Portfolio Managers. He is also a Certified European Financial Analyst (CEFA) and a US Certified Public Accountant (CPA). He is based in Zurich. Dominik Rutishauser has been working in the financial industry for over 15 years. He started his career as legal engineer at the fund management company of UBS. Thereafter he held various positions at UBS (ABS structurer and credit portfolio manager) and at Swiss Re (credit structurer and underwriter for commodity trade finance) before he joined GAM’s private labelling team in 2009. Dominik has a Master of Law and an Executive MBA from the University of Fribourg respectively the University of Strathclyde. Check out the 2015 Roadshow to Switzerland in pictures! Filming and photography at the conference, either in the auditorium or at the venue, require preliminary authorisation from the ALFI press office. To conclude this agreement please fill in the media deal and return it by e-mail to: communications@alfi.lu. ALFI will provide the advert in a format to be defined with the respective magazine.